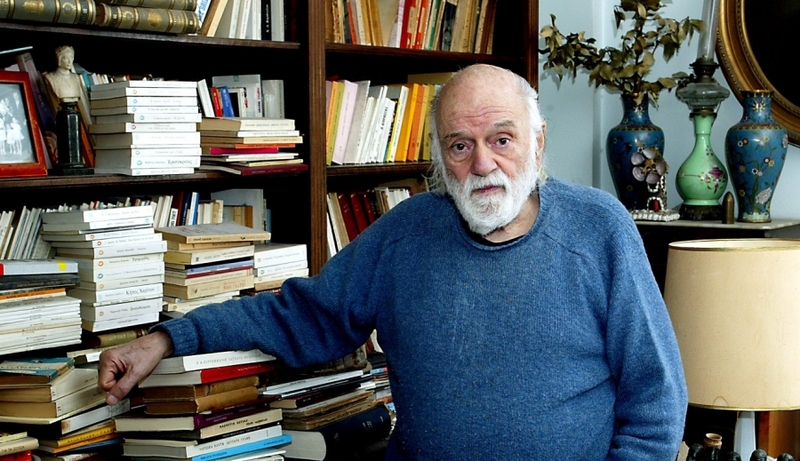 Nanos Valaoritis at his home in Athens. I have mentioned Nanos Valaoritis before. He was a friend of George Seferis and he knew both Henry Miller and Lawrence Durrell in Greece before the war. He has given me his vivid account of standing in the streets of Athens in 1941 as the Germans were advancing on the city. His memory is long, and in recent years he has spoken out at what he sees as the destruction wrought on Greece by the European Union. He has done so again now in the pages of an Athens newspaper. The Greeks are an impossible people, and that is one reason why I am always on their side. I would rather have Greece than the EU. For that matter I would rather have Britain than the EU. If the EU can accommodate Greece and Britain then the EU is worth having. But only then. Meanwhile I agree with Nanos when he writes in I Avgi of the recent Greek elections that 'What has happened in Greece will eventually help ... most of the countries in Europe'.